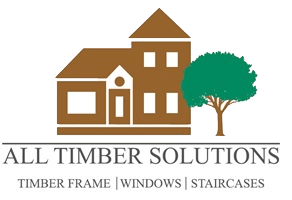 Fulham Timber & Building Supplies. Small and friendly family-run business that is crazy about stairs. Based in Mansfield, Nottinghamshire we provide services across UK. We design, manufacture and install bespoke staircases. We always advise what kind of staircase design is best for your lovely home. Floating, zigzag or central stringer staircases are our speciality. We use only hardwood in combination with safety toughened glass and stainless steel to achieve modern and unique design every time. While at work we use traditional methods supported by CNC technology. 3s architects and designers are a RIBA chartered practice with offices in southwest london and munich, germany, working on projects in the united kingdom and around the world. We are a design-led team of dedicated architects and interior designers providing a personalised service and professional approach for private and commercial residential clients which produced a number of award winning projects. We thrive in working with you to create stunning homes and developments with a high level of detail and superior choice of materials. we make designing and building an experience to enjoy. A1 Loft Conversions & Extensions will work closely with you to create your ideal loft conversion. By remaining at the cutting edge of solutions, designs, ideas, innovations and eco solutions we can advise you on all your options. The choice is of course yours.Our in house technical team offer a personal service and are happy to visit you at your home to work with you to optimise your available space and maximise natural daylight in your loft conversion. To visit your home to offer his expertise in space optimisation and getting the most from your available space. Abatron, Inc.’s premier Wood Restoration products, LiquidWood® and WoodEpox®, make permanent, cost-effective repairs to rotted or damaged wood. These products are safe, easy to use, and offer professional results. As a leading independent tile supplier, our company motto of ‘tiles for all budgets’ is built on our extensive product range where we always have quality tiling solutions available for budgets of any size. From porcelain and ceramics to mosaic tiles, Abbey Tiles Supplies are tiling experts serving retail, trade and architectural clients. Your number one choice for all wall and floor tiles. We also stock a complete selection of ancillary products including quality grouts and adhesives. Our expansive stocked showroom holds thousands of premium tiling products in a full range of styles, colours and textures at very competitive prices.We are located in Waltham Abbey on Cartersfield Road, just off Sewardstone Road. We pride ourselves on our friendly service, customer care and years of experience within the tiling industry and we are ready to help you with your choice of tiles. Our showroom has an array of displays in ceramic, porcelain, mosaics, marble, slate, natural stone wall and floor tiles. With our new warehouse facility, we are now able to offer more items from stock ready to collect straight away or deliver within a few days. We have stocks of trims, adhesives, grouts, primers, tile backing boards and tools. We’d be happy to help and advise you on the correct adhesive and grouts to use on your tiling projects. Come and visit us, you will be spoilt for choice. Handmade in the UK, all our adjustable beds and riser recliner chairs are focused on one objective – your comfort. Visit us to find out more! Since the very early 90's, ADM Systems have been designing, supplying and installing high quality heat recovery ventilation systems (MVHR). Unlike others, we are completely independent of any manufacturer. Our expert engineers design bespoke systems using the highest quality products from a range of different suppliers. As a result we provide options to suit your budget or the individual ventilation requirements of your property. We save you time as well as money, and make your life easier. ADM Systems are not just suppliers of ventilation systems; we offer a full range of services from CAD design and proposals, site surveys, a ‘buddy’ service for self builders installing their own heat recovery systems, Compliance advice, complete installation by BPEC approved engineers and full ventilation system maintenance and after care packages. We also offer ground to air heat exchangers to enhance your MVHR system, central vacuum systems, ducting options to suit your application, as well as giving you a choice of ventilation controls and a range of high quality ventilation parts such as, vents and grilles and filters to complement your system. We are an interior design business specialising in beautiful table centre pieces. Shimmering Wax crystals combined with beautifully crafted ash candle boxes. Aluminium Scaffold Towers Limited manufactures and sells top quality Scaffold Towers. We are an ISO9001 accredited manufacturer and a PASMA Manufacturer member - one of the very few to achieve the British Standard Kitemark (BS EN 1004 Class 3 Standard) for mobile scaffold towers. Our company takes pride in its range of scaffold tower products, all of which are manufactured to the highest quality as well as meeting exacting industry safety standards. As safety standards within the industry have increased, so we have increased the quality of all our product designs to match:- The DIY tower incorporates welded frames, quick locking braces and advanced guard railing - with options for height adjustable base plates or height adjustable castor wheels. All of these are new innovations in the DIY market and are made to the same high standards used in our other (trade) ranges. For our TUV GS marked trade tower the focus is strongly on keeping weight to a minimum whilst maintaining rigidity, strength and safety. The trade tower also offers substantially greater working height capacity (9.65m) than any other tower in its class. On our industrial tower (Kitemarked) we have made installation even easier by redesigning and reducing the weight of the toe board, to further enhance a product that has already been sold in its thousands across the UK. Safety is our top priority – always! Every tower we sell has been manufactured to the rigorous quality and the same standard of manufacture required by top European approval bodies such as BSI and TUV in Germany. We are committed to the highest levels of customer service and to ensuring that all our customers receive the best possible advice to select the product that is most applicable to their needs. To this end all our sales staff are qualified as PASMA mobile scaffold tower erectors – so they understand your issues – as well as offering in-depth product knowledge gained through training at our manufacturing plant. We value innovation and ensure that our products are continuously improved to meet the ever-changing needs and challenges of our customers. We are very confident you will be delighted with our products – so confident that we offer an unconditional no quibble, 5 year manufacturer’s guarantee on all our towers against manufacturing defects on every Loyal tower we sell. Exhibiting our newly re-designed SUPER DIY Scaffold Towers which has all 1 metre frames from top to bottom making these towers extremely easy to erect and dismantle by one person, transport and store. Completely eliminates the hassle of storing long 2 metre frames and not being able to take the tower on a job with you! The complete 7m tower will fit into an everyday hatchback as you can see from the photos in the features section below. The newly designed frames enable you to assemble and dismantle the tower in handy 1 metre increments. These towers can be easily upgraded unlike others on the market and with more joints resulting in improved rigidity of the complete structure. AM Construction-Durisbuild has been successfully specializing in the construction industry in design, conversion and refurbishment for last 20 years. The Company was founded by the present Managing Director Arek Marczewski, an accomplished and experienced senior executive, who has a dynamic personality and strong vision to spearhead and drive major infrastructure and service initiatives. Extremely hard working, efficient and dedicated as well as an exceptional relationship builder, facilitator and board level communicator. As a construction engineer and project manager he makes sure the project is of the highest quality and runs on time. AM Construction-Durisbuild provides everything that a customer may need while building or renovating their living or working space. It means that we are capable of handling a diverse range of projects in a variety of materials, including those which are complex and challenging. Working in this industry requires much more than knowing how to build - we blend creativity, experience, innovation and sound commercial principles to create our projects. We pride ourselves on being sensitive to the vision and perspective We can assist in multiple ways including: New builds, turnkey projects, commercial to residential conversions, all kinds of structural and steel work, extensions, loft conversions, basement, restoration, internal fit out works, refurbishment, joinery, kitchens, bathrooms, plumbing, electrical and AV. Depending on our client´s requirements, we can deliver a project from concept through to completion with our design services that include architecture, interior design and project management. We also specialize in installation of bespoke stonework that include but are not limited to; marble, granite, semi-precious stones, onyx. Our highly skilled joinery team provide superior quality craftsmanship. We can offer magical metal works, architectural applications, metal facades, bespoke metallic finishes, doorways, staircase and railings in a range of pure metals and alloys with a different textures, and colours which can be finished in a manner totally unique to you. We are actively engaged in the delivery of our services and are confident about the quality and reliability of the services we provide. We allow the customer to have one point of contact throughout your projects on your home in order to achieve a finished project of good design formed in a timely manner. We are easy to deal with, we simplify complexity, and we are transparent. We are a leading and award winning, designer and manufacturer of bespoke Kitchens, Bedrooms & Studies. Anthony Mullan established the company in 2000 and his hands-on approach has earned him a reputation, where he can have complete control from design to installation and a customer service second to none. Our team of highly-skilled professionals are able to take the guesswork out of your project, leaving you free to create your vision.Choose from a palette of over 3000 colours, materials like oak, walnut and all forms of granite, with the confidence that our specialists can design a space individual to your home.View our video to find out more about us and visit our stand to arrange a FREE design consultation.